Passenger service agents work to ensure the smooth travel of anyone who boards an airplane. These entry-level positions are available at airports and airlines across the country. There's no postsecondary education requirement for this career, though this position does require a high school diploma or equivalent (such as a GED). In addition, previous customer service experience can be key to employment. Diploma in Passenger Service Agent course is designed in association with leading airlines. The modules of the course contains information on skills you need to have for joining and airline or ground handling agency for the position of passenger service agent. Upon completion you course you will receive a Diploma from PSA (Passenger Service Agent) + Attested Certificate from Ministry of Education UAE. This course have been designed to satisfy the criteria expectations that are laid down by airlines and aviation on organizations that are looking for professionals. 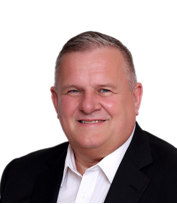 John Ellis, from the UK, is a qualified NLP Life Coach and Executive Mentor. He practices with hundreds of executives every year and thousands of people have attended John’s motivational talks and seminars. He is the author of a book, ‘The 28 Golden Rules of Personal and Business Success’. John also practices in Hypnotherapy and Complete Mind Therapy. He works around the world in countries such as the USA, Canada, Bahrain, Oman, Qatar, KSA, UAE, India and the UK. John has started and developed a multitude of companies in various industries such as Aviation, Aerospace, Automotive, Travel, Health, Marine, Tourism, Safety and Security, which he has then ultimately sold. He is also experienced in mergers and acquisitions, as well as advising and mentoring Company Board Executives. He delivers training courses in areas such as HR, Change Management, Negotiation, Sales and Communication Skills. John also speaks at conferences and events worldwide and appears on Sky News and BBC World News to talk about HR and industry issues.